Free zone is an important aspect of UAE and all the 7 emirates are trying to make full use of these free zones for their economic growth. One of the most important free zones is UAE is Ras al Khaimah Free Trade Zone (RAK FTZ). The specific free zone was established in 2000. 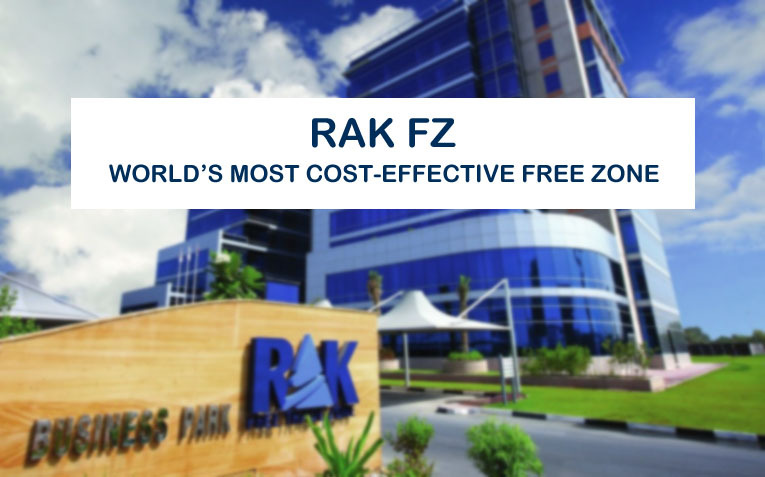 Recently RAK FTZ and RAK Investment Authority (RAKIA) (founded in 2005) have merged under the authority of Ras Al Khaimah Economic Zone (RAKEZ). This merger has made RAK Free Trade Zone as one of the largest free zones in UAE and the whole region. Currently, there are more than 13,000 companies in RAK FZ that are representing more than 100 countries from around the globe. Apart from being one of the largest free zones, it has also been declared by fDi as the world’s most cost-effective economic zone in 2017. RAKEZ achieved this award due to 10% reduction in its cost and 12 months installment options for investors with 3 year business plan. It means that companies, especially startups and SMEs, will be able to achieve best business facilities without worrying much for the high setup cost of a company that one may have to pay in most of the other free trade zones. There are five different types of zones present in RAK FTZ that provide different business activities for entrepreneurs. RAK Business Park is appropriate for well-developed business activities. It provides fully furnished offices and desks for both big and small companies. RAK Industrial Park is for heavy industries and warehouses. It provides all the important facilities required for such types of companies. RAK Technology Park is especially for companies related to technology and IT. Specific facilities for such industry are already present in the Technology Park. RAK Academic Zone is a dedicated zone for education sector including university, college, technical institute, school and other academic institutes. Visas for this zone are available for owners, staff, students etc. RAK Media Zone provides perfect environment for media firms and companies related to media industry. Media segments supported in the specific zone include: event management, (film, TV & radio) production, broadcasting TV, animation and many more. The process of opening a business in RAK FTZ is very cost effective which is accompanied with a very simple and quick procedure. In the start, you will choose the most appropriate business package with the license type and legal entity that best suits you. In the next step, you will submit application along with all the required documents. After checking your credentials, the RAK free zone authority will approve your application after which you will be allowed to open a company in RAK FTZ.